For news on the latest reviews, author interviews and additions to this site, see the blog. Africa has an interesting history and rich cultural traditions. Though relatively fewer novelists have chosen to write about its history, those that have include Nobel prizewinner Naguib Mahfouz and bestselling authors James A. Michener, M.M. Kaye and Wilbur Smith, as well as lesser known authors who deserve to be more widely read. Egypt is an ancient culture (see Ancient History for novels set in the time of the pharaohs), and the entire southern Mediterranean coast has a history that stretches back to the Roman Empire. The influx of Dutch into South Africa during the seventeenth century ushered in centuries of conflict between natives and white settlers, known as Afrikaners. Other nations, including Germany and England, colonized other parts of the continent, leading to similar conflicts as well as conflicts between the English and Germans during World Wars I and II. Novels of warfare written primarily from the perspective of European soldiers are listed on the various pages for novels with European settings. Yahya Taher Abdullah, The Collar and the Bracelet, about an Egyptian family during World War II. Chinua Achebe, No Longer at Ease (1960), about an Ibo man (the grandson of the main character in Things Fall Apart) who leaves his village to take a job in the colonial service; #2 in the African trilogy. Chinua Achebe, Arrow of God (1964), about the chief priest of a god worshipped by six Ibo villages in Nigeria during the 1920s as British colonists convert Africans to Christianity; #3 in the African trilogy. Gamal al-Ghitani, Zayni Barakat, about a man's rise to power in sixteenth century Cairo. Tahar ben Jelloun, The Sand Child (1985), about a Moroccan man in the early twentieth century who raises his eighth daughter as a boy so that she will be able to inherit his estate. Tahar ben Jelloun, The Sacred Night (1987), about a Moroccan woman raised as a boy and her search for her identity as a woman; sequel to The Sand Child. Monica Burns, Kismet (2010), historical romance set in nineteenth-century Morocco about a Moroccan chieftain and a woman raised in a brothel, where she learned the arts of seduction. Anne Marie Drosso, In Their Father's Country (2009), about two sisters of Syrian descent growing up amid the anti-British unrest in Cairo in the 1920s. María Dueñas, The Time In Between (2009 in the original Spanish; first English edition 2011), about a Spanish woman who becomes a couturier for the wives of Nazi officers in Algiers after her lover deserts her. Anne Fortier, The Lost Sisterhood (2014), an adventure story about a modern woman who travels to Africa and discovers an inscription about the first Amazon queen, and the ancient Amazon queen's attempts to rescue her people from capture by pirates. Tom Gamble, Amazir (2010), about a young Englishman and an American oil explorer who travel through Morocco in the 1930s, a time of Berber opposition to French rule. Gabriella Ghermandi, Queen of Flowers and Pearls (2015), about a young Ethiopian girl who vows to become her family's keeper of stories after the oldest person in her household tells her about his role as a soldier in the fight against the Italian occupation of Ethiopia. Jane Johnson, The Sultan's Wife (2012), about a scribe framed for murder and a captive Englishwoman in the palace of a Moroccan sultan. Yasmina Khadra, What the Day Owes the Night (2010), about a young man in French Colonial Algeria who must choose between his new life in the European district or his old life in his native culture when he falls in love with a beautiful young woman. Jean-Marie Le Clézio, Desert (1980), alternating stories about a young Tuareg man in the early twentieth century and a modern-day girl of Tuareg descent who flees to France to avoid an unwanted marriage; the author was awarded the 2008 Nobel Prize for Literature. Jean-Marie Le Clézio, Onitsha (1997), about a boy who migrates to Nigeria with his Italian mother to join his British father in 1948; the author was awarded the 2008 Nobel Prize for Literature. Amin Maalouf, Leo Africanus (1986), about a sixteenth century Moroccan geographer and his travels through the Mediterranean world. Naguib Mahfouz, Palace Walk, about a Muslim family in Cairo during the early twentieth century; #1 in the Cairo Trilogy. Naguib Mahfouz, Palace of Desire, about a Cairo family in the 1920s; #2 in the Cairo Trilogy. Naguib Mahfouz, Sugar Street, about a Cairo family during the emergence of modern Egypt; #3 in the Cairo Trilogy. Naguib Mahfouz, Cairo Modern, about the Egyptian city of Cairo during the 1930s. Naguib Mahfouz, The Beginning and the End, about Cairo during World War II. Naguib Mahfouz, The Harafish, about many generations of an Egyptian family as they rise to wealth and power and become subject to its temptations. Naguib Mahfouz, Morning and Evening Talk, a literary novel about five generations of three Cairo families from the time of Napoleon to the 1980s, in the form of character sketches presented in alphabetical order. Brian Moore, The Magician's Wife, about the wife of a nineteenth century stage magician sent to Algeria by Napoleon III to demonstrate French power to the Bedouins. Will Pflaum, Juba: The Search for the Sons of the Martyrs (2012), about a slave sent to a Christian community in Egypt in 207 A.D. to find the sons of two martyred Christian women; self-published. Sara Sheridan, Secret of the Sands (2011), historical romance about a beautiful Abyssinian slave girl and the British officer who buys her in a market before setting off to rescue fellow officers who have gone missing. Wilbur Smith, Cry Wolf, about a Texas engineer and a British gun-runner who make a deal with an Ethiopian prince as Italian armies threaten Ethiopia during World War II. Ahdaf Soueif, The Map of Love, about a modern American journalist who travels to Egypt to learn the story of her ancestors: an English widow and an Egyptian who fell in love in 1901. Youssef Ziedan, Azazeel (2008 in the original Egyptian; English translation 2012; also titled Azazel), about a twelfth-century monk who, at Satan's urging, begins writing his memoirs after Bishop Nestorius is excommunicated and burned for heresy; 2009 winner of the International Prize for Arabic Fiction. Michael Pearce, The Mamur Zapt and the Return of the Carpet (1988), about a British official in turn-of-the-century Egypt who must calm tensions when a political assassination attempt is made shortly before a religious festival; #1 in the Mamur Zapt series. Michael Pearce, The Mamur Zapt and the Night of the Dog (1989), about a British official in turn-of-the-century Egypt who must investigate after a dead dog in a tomb heralds a crime wave; #2 in the Mamur Zapt series. Michael Pearce, The Donkey-Vous (1990), about a British official in turn-of-the-century Egypt who must investigate the case of a kidnapped tourist, finding an unexpected answer among Cairo's donkey-boys; #3 in the Mamur Zapt series. Michael Pearce, The Mamur Zapt and the Men Behind (1991), about a British official in turn-of-the-century Egypt who must investigate an outbreak of violence in Cairo's bazaars; #4 in the Mamur Zapt series. Michael Pearce, The Girl in the Nile (1992), about a British official in turn-of-the-century Egypt who must investigate the case of a missing body; #5 in the Mamur Zapt series. Michael Pearce, The Spoils of Egypt (1992), about a British official in turn-of-the-century Egypt who must keep an eye on a U.S. presidential candidate's niece after she nearly lands in the path of a Cairo tram; #6 in the Mamur Zapt series. Michael Pearce, The Camel of Destruction (1993), about a British official in turn-of-the-century Egypt who must investigate a case of apparent suicide by a Ministry of Agriculture clerk; #7 in the Mamur Zapt series. Michael Pearce, The Snake-Catcher's Daughter (1994), about a British official in turn-of-the-century Egypt who becomes a target of ugly rumors; #8 in the Mamur Zapt series. Michael Pearce, The Mingrelian Conspiracy (1995), about a British official in turn-of-the-century Egypt who must investigate a threat to Cairo's café culture by local gangs – or possibly something more sinister; #9 in the Mamur Zapt series. Michael Pearce, The Fig-Tree Murder (1996), about a British official in turn-of-the-century Egypt who must investigate why a body was left on the line of the New Electric Railway connecting Old Cairo with its new suburbs; #10 in the Mamur Zapt series. Michael Pearce, The Last Cut (1998), about a British official in turn-of-the-century Egypt whomust investigate the death of a young woman whose body appeared at the site of a dam before the ceremonial "last cut," which will allow water to flow into Cairo; #11 in the Mamur Zapt series. Michael Pearce, Death of an Effendi (1999), about a British official in turn-of-the-century Egypt who must investigate the shooting death of an important foreigner at a meeting of financiers; #12 in the Mamur Zapt series. Michael Pearce, A Cold Touch of Ice (2000), about a British official in Egypt before the First World War who must investigate a murder that may be related to ethnic tensions; #13 in the Mamur Zapt series. Michael Pearce, The Face in the Cemetery (2001), about a British official in 1914 Egypt who must take on the perilous and slippery task of rounding up enemy aliens as a war with Germany begins; #14 in the Mamur Zapt series. Michael Pearce, The Point in the Market (2005), about a British official in Egypt during World War I who must investigate a uproar that began in the camel market, while coping with the political and social difficulties resulting from his recent marriage to a pasha's daughter; #15 in the Mamur Zapt series. Michael Pearce, The Mark of the Pasha (2008), about a British official in turn-of-the-century Egypt who must protect local and foreign officials from the threat of bombs during a procession at the close of World War I; #16 in the Mamur Zapt series. Sidney Allinson, Kruger's Gold (2001), about a Canadian officer in the British Army who leads a patrol into the South African velt in 1902 during the Second Anglo-Boer War to recover a cache of looted gold; self-published. Kenneth Bonert, The Lion Seeker (2013), about a young man in Johannesburg, the son of Lithuanian Jewish immigrants, struggling to make money for his impoverished family as World War II approaches. André Brink, An Instant in the Wind (1976), about a runaway slave in Boer South Africa in 1749 and the white woman, the sole survivor of an expedition into the interior, whom he agrees to guide through the wilderness of the velt back to her home. André Brink, Philida (2013), about a slave woman in Capetown, South Africa, in 1832. Hansen Brooks, The Chess Garden, about a white Ohio doctor working in a British concentration camp during the Boer War in 1900 who writes letters back to his wife describing a fantasy world. Stuart Cloete, Rags of Glory (1963), about both sides of the Boer War in South Africa between the British and the Afrikaners (or Boers) of Dutch descent. Bryce Courtenay, The Power of One, a coming-of-age novel about a boy sent to a school during the years before World War II where he is the only English speaker among the mostly Afrikaner students. Bryce Courtenay, Tandia, about a young woman of mixed race raped by an Afrikaner policeman and sent to a brothel; sequel to The Power of One. Philip Danze, Conjuring Maud, about a British military student who falls in love with a much older British woman explorer at the time of the nineteenth century Zulu War. Brian Duncan, The Settler (2012), about a young Englishman and his American friend who settle in South Africa in the late nineteenth century and become involved in the Boer War; self-published. Giles Foden, Ladysmith (2001), a love story about a woman in the English-held South African town of Ladysmith when it was besieged by Boers in 1899 during the Boer War. Graham Fysh, Moorosi (2012), about King Moorosi of the Baphuthi people and his war against the Cape Colony in nineteenth-century South Africa; self-published. Ann Harries, Manly Pursuits (1999), about a British ornithologist who contracts to bring 200 British songbirds to Capetown at the end of the nineteenth century. Jan Hurst-Nicholson, The Breadwinners (2010), a family saga beginning in the 1920s about a white settler in Durban, South Africa, who must marry the young woman pregnant with his child, and their families over the next sixty years; self-published. Pamela Jooste, Frieda and Min (2000), a coming-of-age story about a Jewish girl in Johannesburg who in the summer of 1964 becomes friends with a white girl raised in the bush. Sheila Kohler, The House On R Street, about a troubled and potentially violent fourteen-year-old girl in 1920s South Africa. Sheila Kohler, Love Child (2011), about a Christian girl from Johannesburg who elopes with a Jewish man in 1925 but is forced to return home, where she bears his child. Lauren Liebenberg, The West Rand Jive Cats Boxing Club (2011), about two twelve-year-old mine-workers in Johannesburg in 1958 who must rely on their friendship when the sister of one of them disappears and her father is suspected of killing her. Henning Mankell, Daniel (2010), about an African boy orphaned when his parents are murdered, and the Swedish scientist who finds him in Cape Town in the 1870s and brings him back to Sweden where he tries to teach the boy to follow European customs. Dalene Matthee, Fiela's Child, about an orphaned white boy raised by a black woman from ages three until nine and then by a family of illiterate white woodcutters in nineteenth century Africa. Dalene Matthee, Circles in a Forest, about an Afrikaner woodcutter's son who wishes to protect the forest elephants in his area when it is disrupted by gold hunters; #1 in the Forest trilogy. Dalene Matthee, The Mulberry Forest, about a ninteenth century Afrikaner who gains the rights to his land by agreeing to help a group of nearby Italians; #2 in the Forest trilogy. Dalene Matthee, Dreamforest , about a beautiful woodcutter's daughter who marries a village man to escape the harsh life of the forest, but returns because of her yearning for a life close to nature; #3 in the Forest trilogy. Jennifer McVeigh, The Fever Tree (2013), about a London woman who emigrates to South Africa after her father's death in 1880. James A. Michener, The Covenant, about the history of South Africa from prehistoric times through the 1970s, from the perspective of various ethnic groups but concentrating especially on the white Afrikaners. Barbara Mutch, The Housemaid's Daughter (2013), about a lonely woman in a small town in the Karoo desert, who develops a bond with her housemaid's daughter during the years of apartheid. Sol T. Plaatje, Mhudi (1913), about a man and woman who survive a Matabele attack in the 1830s, fall in love, and live in an unconventional marriage. Dan Sleigh, Islands, about the seventeenth century settlement of the Cape of Good Hope, from the perspective of both the native people and the Dutch settlers. Wilbur Smith, When the Lion Feeds (1964), about white cattle farmers in nineteenth century South Africa during the Zulu Wars and the Johannesburg Gold Rush; #1 in the first Courtney series. Wilbur Smith, The Sound of Thunder (1966; also titled The Roar of Thunder), about a white South African who fights for the British during the Ango-Boer War; #2 in the first Courtney series. Wilbur Smith, A Sparrow Falls (1977), about a white South African who fights in World War I and returns to gain political power; #3 in first the Courtney series. Wilbur Smith, The Burning Shore, about an aristocratic young Frenchwoman who travels to South Africa after World War I; #1 in the second Courtney series. Wilbur Smith, Power of the Sword, about two white half-brothers who battle each other for power in South Africa as World War II begins; #2 in the second Courtney series (which continues into modern times with #6, Rage, and its sequels). Wilbur Smith, Birds of Prey (1997), about the first members of the fictional Courtney family to come to Africa, in 1667 with a letter from King Charles II allowing them to pursue and capture enemy ships beyond British waters; #1 in the third Courtney series. Wilbur Smith, Monsoon (1999), about the fictional Courtney family in eighteenth century England, East Africa and Arabia; #2 in the third Courtney series. Wilbur Smith, The Blue Horizon (2003), about the generation of the fictional Courtney family which traveled the "Robber's Road" and staked a claim in Southern Africa; #3 in the third Courtney series. Wilbur Smith, The Triumph of the Sun (2005), about a British trader trapped in Khartoum during the bloody 1884 rebellion against the Egyptian Khedive; #4 in the third Courtney series. Wilbur Smith, Assegai (2009), about a professional big game hunter in 1913 who falls in love with the mistress of one of his clients, a German industrialist from whom his uncle, a British military officer, has asked him to get information; #5 in the third Courtney series. Wilbur Smith and Giles Kristian, Golden Lion (2015), about a ship captain who sets off in pursuit of the enemy who has abducted his wife; part of the Courtney Family series. Ayi Kwei Armah, Two Thousand Seasons (1973), about the colonization of Africa for the past thousand years, beginning with Arabs. Ayi Kwei Armah, The Healers (2000), about a young man offered the position of king of the Ashanti in Ghana in the 1890s, with the understanding that he will not oppose the white colonists, and makes enemies when he refuses. Nathacha Appanah, The Last Brother (2010), about a boy in Madagascar who makes friends with a European Jew in a prison camp and helps him escape during World War II. Biyi Bandele, The King's Rifle (2009), a coming-of-age story about a young West African soldier fighting in World War II. William Boyd, An Ice Cream War, about the continuation of World War I in British East Africa after the Armistice had already been declared. William Boyd, A Good Man in Africa, about a British official in a fictional African country during the decline of colonialism. Bartle Bull, The White Rhino Hotel, an adventure story about a professional hunter in colonial Kenya after the end of World War I; #1 in the Anton Rider trilogy. Bartle Bull, A Café on the Nile, an adventure story about a professional hunter in colonial Kenya as Mussolini is attacking Abyssinia; #2 in the Anton Rider trilogy. Bartle Bull, The Devil's Oasis, an adventure story about a professional hunter in colonial Kenya during World War II; #3 in the Anton Rider trilogy. Frank Coates, The Last Maasai Warrior (2008), about a leader of the Maasai and a British administrator in East Africa in 1911, after the British break the promise made seven years earlier to allow the Maasai to retain control over their traditional lands. Paul D. Cohn, Sao Tome: Journey to the Abyss—Portugal's Stolen Children, about two fifteenth century Jewish children kidnapped, along with others, from their synagogue in Portugal and sent to an island off Africa to work as slaves on sugar plantations. Maryse Condé, Segu, about a family in the eighteenth century kingdom of Segu (near today's Mali) as the shift from paganism to Islam begins. Maryse Condé, The Children of Segu, about a family in the eighteenth century kingdom of Segu (near today's Mali) as the shift from paganism to Islam begins; sequel to Segu. 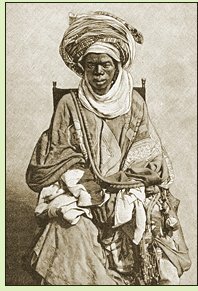 Maryse Condé, The Last of the African Kings, about the descendants of a king of Dahomey who was exiled to the Caribbean island of Martinique. Robert Edric, The Book of the Heathen, a literary novel about an Englishman in the nineteenth century Belgian Congo on trial for the murder of a native child. C.S. Forester, The African Queen, about a prim missionary spinster and an uncouth riverboat skipper thrown together in Colonial Africa during World War II. Henry Rider Haggard, King Solomon's Mines, an adventure story about a nineteenth century white explorer in who discovers a previously unexplored valley; technically not historical since the novel was set in the author's own time. Bessie Head, A Bewitched Crossroad (1984), about the chief of a small clan who struggles to protect his people during the crises of the nineteenth century in what is now Botswana. Manu Herbstein, Ama: A Story of the Atlantic Slave Trade (2001), about a young African woman forced into slavery in Ghana in the late eighteenth century and her travels through Africa to her ultimate fate on a Brazil sugar plantation. M.M. Kaye, Trade Wind, about an abolitionist Boston woman and the slave trader who rescues her in a storm off Zanzibar. Siaka Kroma, Gomna's Children (2010), about the chief of a small town in early colonial Sierra Leone who sends his children for formal schooling, changing his family's lives forever; self-published. Jean-Marie Le Clézio, The Prospector (1993), about a young Frenchman searching for treasure on Rodrigues, an island off the African coast, in the years before World War I; the author was awarded the 2008 Nobel Prize for Literature. Paula McLain, Circling the Sun (2015), about Beryl Markham, who grew up in Kenya and in 1936 became the first woman to fly solo from east to west across the Atlantic, later writing the memoir West With the Night about her experience. Karen Mercury, Hinterlands, historical romance set in the Kingdom of Benin in 1897, about a New York anthropologist who supports British colonization efforts and a trader who strongly opposes them. Wayétu Moore, She Would Be King (2018), historical fantasy about three people whose magical gifts help ease the conflicts between African-American settlers and native Africans during the founding of Liberia. Anthony Nanson, Deep Time (2015), about a zoologist and the survey team he leads into a remote area in Central Africa where they find themselves traveling far back in time. Patrice Nganang, Mount Pleasant (2016), about a girl in 1930s colonial-era Cameroon who is given as a gift to an exiled sultan who makes her over into a boy. D.T. Niane, Sundiata: An Epic of Old Mali, a retelling of an oral tradition passed down from the thirteenth century about the man who united Mali into a single kingdom. Tony Park, African Dawn (2011), about three families in Southern Rhodesia in 1959 who are already in conflict over the protection of rhinos when a young woman from one family is kidnapped by terrorists. Rafael Scott, Beyond Mali, about a man who inherits the rule of fourteenth century Mali when his father dies and, in the midst of war, reveals his dream of exploring the “Great Sea of Darkness” west of the African continent; based on a true story. Wilbur Smith, Shout at the Devil, about ivory poaching in German-occupied East Africa as tensions build in the years leading up to the First World War. Wilbur Smith, The Sunbird (1972), about an archaeological dig that uncovers the remains of a 2000-year-old city in Botswana as the dig is threatened by modern terrorism that echoes the violence of the ancient city's destruction. Wilbur Smith, A Falcon Flies (titled Flight of the Falcon in the U.S.), about the son and daughter of a missionary who return to Africa in 1860 and find themselves in conflict over the slave trade; #1 in the Ballantyne series. Wilbur Smith, Men of Men, about a Briton during Queen Victoria's reign who tries to make his fortune in diamond mining as the colonial state of Rhodesia is born; #2 in the Ballantyne series. Wilbur Smith, The Angels Weep, about an adventurer during the last years of Queen Victoria who pushes into heart of the continent, sowing seeds of future violence; #3 in the Ballantyne series (the series continues into modern times with #4, The Leopard Hunts in Darkness, and #5, The Triumph of the Sun). Uwe Timm, Morenga, about a revolt against German colonizers in the southwest during the first decade of the twentieth century. Ngugi wa Thiong'o, Weep Not, Child (1964; originally published under the name James Ngugi), about a Kenyan boy who is the first in his family to go to school and must decide whether to give it up when the Mau Mau rebellion begins in 1952. Ngugi wa Thiong'o, The River Between (1965; originally published under the name James Ngugi), about a young village leader in Kenya during the Mau Mau rebellion. Ngugi wa Thiong'o, A Grain of Wheat (1967; originally published under the pen name James Ngugi), about five friends the the different choices they make during the Kenyan struggle for independence in 1952-1959. Barbara Wood, Green City in the Sun, about a British brother and sister who come to Kenya in 1917 to find themselves in conflict with a native medicine woman, and their descendants. Barbara Wood, The Blessing Stone, about a prehistoric girl who finds a mysterious blue crystal in a meteorite, and her descendants as they carry the stone around the world. Suzanne Arruda, Mark of the Lion (2006), about an adventurous woman who goes to Africa after driving an ambulance during the First World War; #1 in the Jade del Cameron mystery series. Suzanne Arruda, Stalking Ivory (2007), a woman photographer joins forces with an attractive American pilot after they discover the mutilated bodies of four elephants and a man; #2 in the Jade del Cameron mystery series. Suzanne Arruda, The Serpent's Daughter (2008), a woman adventurer must rescue her missing mother and defend herself from a charge of murder when she goes on a holiday trip to Tangiers; #3 in the Jade del Cameron mystery series. Suzanne Arruda, The Leopard's Prey (2009), a woman adventurer must defend her beau from a murder charge after a dead body is found on a coffee plantation in British East Africa; #4 in the Jade del Cameron mystery series. Suzanne Arruda, Treasure of the Golden Cheetah (2009), on safari to Mount Kilimanjaro, a woman photographer must find a killer she suspects is behind a series of deadly disasters; #5 in the Jade del Cameron mystery series. Suzanne Arruda, The Crocodile's Last Embrace (2010), a woman photographer who, after returning to Kenya from Europe, begins receiving mysterious messages from a man who died in her arms years ago; #6 in the Jade del Cameron mystery series.